Ever wonder what a standing stitch is? I had never heard of this term until last spring, and I am so glad I ran across it. 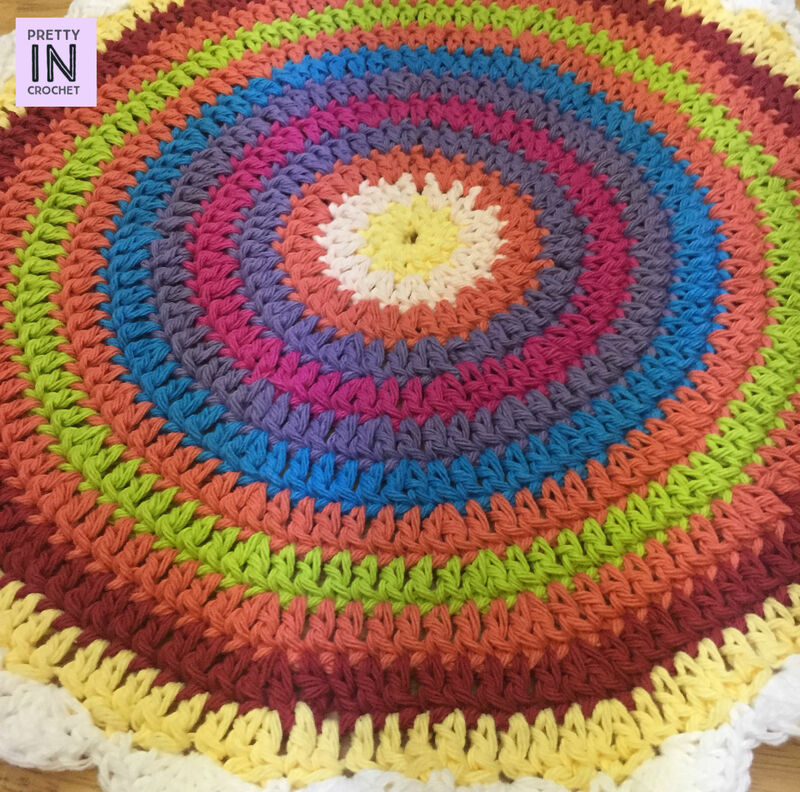 A standing stitch is a stitch is a stitch you can use when changing colours in the round, or whenever it might be appropriate to use instead of chaining. I like it because it does make the overall look of your piece more clean. 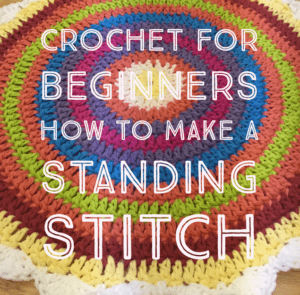 So how does one make a standing stitch? It isn’t too hard. Basically, you hold the yarn tucked between your ring and pinky finger, and then yarn over the back of your crochet hook as you normally would. Insert the hook into your stitch and complete your stitch. Keep hold of the yarn in your hand still and complete the next stitch. At this point, you can let it go and the standing stitch is in place. The video below does a great job in showing you how to do this. I used this stitch to create a basic mandala last spring. It was a fun project and I loved the amount of colours I could use in creating this piece. It now adorns my desk and adds a splash of colour to the room. The great thing about a standing stitch is that when I look at my mandala, I am not annoyed by the glaringly chains that I would have otherwise used. To a practiced eye, that technique (which is perfectly fine to use) would be noticeable, and to me, annoying. The last thing a crocheter wants is to see mistakes in their work–any crocheter can point out every little mistake they made in any given piece–and while the chain method isn’t a mistake, it would bug me just as much. 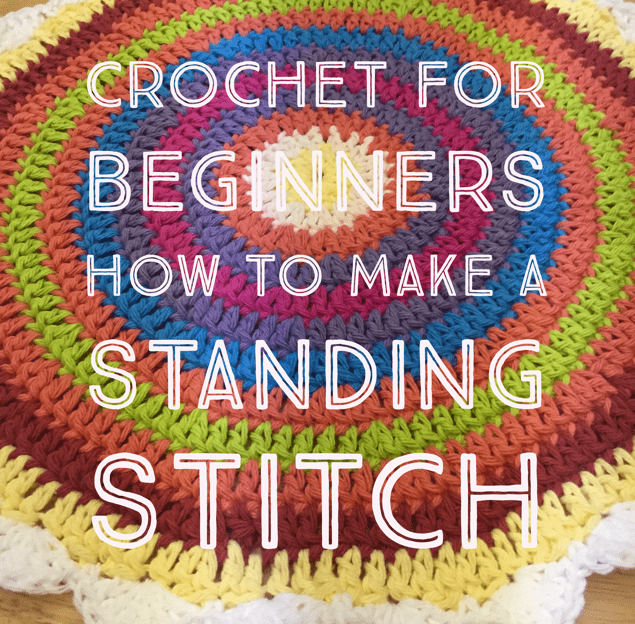 I hope this last post in the Crochet for Beginners has been useful to you. How did you find the series overall? Let me know in the comments section!